Big Pink Link is back! We’re back, Big Pink Link is here again! Well, actually, El and Lucy are, I am on my break this week. I shall be relaxing and not doing much and just chilling out. Pah! As if! I have a seriously busy week getting ready BML16, (shout out if you’ll be there too! ), and I’m getting so excited! The first is by Carry on Gretal and is a, quite frankly hilarious look at why she hates cleaning and made me alternately howl laughing and feel better about the state of my own house! I also thought this from The Practical Mom was sheer genius! Something for a rainy day when you have nothing prepared! Lucy liked this sweet post from My Little Yarn Baby which really made her chuckle and this lovely rhyme from Rhyming With Wine which perfectly sums up life before and after children. 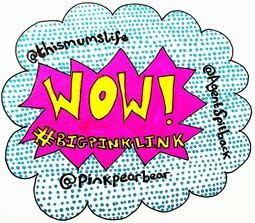 Great selection of blogs here, I’m a first-timer to #bigpinklink & happy to be here. You can see my post above, it’s No.31. Cheers guys. I’m so glad you’re enjoying it! We have a great community!! 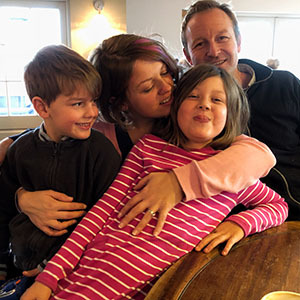 See you at Britmums, yay! Can’t wait to meet you. And enjoy your (busy) week off. Hmmm, if you message her she can take a look for you. We want you to all be able to read everything! !